Bill Kenwright’s ‘Amazing’, ’Superb’, ‘Wonderful’ and ‘Brilliant’ production of Tim Rice and Andrew Lloyd Webber’s sparkling family musical embarks on a national tour with a new Joseph, from 20th February at Theatre Royal Windsor. 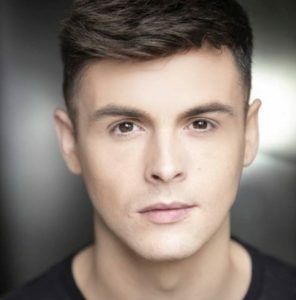 Jaymi Hensley, a member of 2013’s BBC ‘British Breakthrough Band of the Year’, will don the Technicolor Dreamcoat and lead the company in his first role in a major musical. Having risen to fame on The X Factor, Union J went on to have a top ten album and a major UK tour and Jaymi later appeared on a number of hit TV shows, including Celebrity Masterchef (BBC One). Jaymi Hensley says I cannot describe how excited and honoured I am to be stepping into the prestigious coloured coat! When I think of iconic roles in musical theatre Joseph was always one that I dreamt of playing growing up! And to finally say that I am going to play it is a “dream” come true! I cannot wait to meet all of the loyal Joseph Fans and bring you my take of this amazing dream role. Previous Strike a Pose: Tales of a Middle-Aged Single Gay man ARE BACK!